Our April 2017 trip to northern Ethiopia was an undeniable success thanks to Aisha Tours Ethiopia which we would like to thank for its perfect mastery of the organization of trips to this still-unknown country. Everything went impeccably. Even the small cares, inevitable in this kind of journey, have been masterfully handled with exemplary efficiency by our guide. The elaboration of the program and the choice of hotels and restaurants deserve the mention “excellent”. Special thanks go to Lydia for her efficiency and the patience she showed to give precise and nuanced answers to all our questions and concerns. We are all (16) enthusiastic and conquered by this fabulous country. We are back from Ethiopia, all delighted by this magnificent journey! For us now Ethiopia will no longer be only Addis Ababa, Haile Selassie and St George’s Church in Lalibela, and nothing more … but the grandiose landscapes of all the north, the restful charm of the lakes here and there , The astonishing steles of Axoum, the 10 other monolithic churches of Lalibela that are discovered from trenches in tunnels (plus the others elsewhere), fauna and particularly so many beautiful birds, finally these ethnic groups so varied of the valley of ‘Omo who live almost as in the time of Lucy (except alas their approach too business of the taking of photo!). In short, a success due to Aisha Tours Ethiopia, with good guides, excellent drivers and remarkable assistance from Lydia for one of our participants fell ill. I just returned from a two week trip to Ethiopia in company of four friends. We wanted the “tailor-made” and we were not disappointed with the answers given by the team of Aisha Tours Ethiopia to our eclectic requests. The salt desert of Danakil – and its exceptional site of Dallol – to the Simien mountains, where we “fraternized” with Geladas baboons, through the Awash National Park, the churches around Gheralta and the remains of the palace of Gondar, we did, in a minibus, an unforgettable journey into a largely unknown country. It was great! Thank you to Lydia, Mohammed, Tarikou and all Aisha Tours team for this unforgettable journey that personally made me discover a country I don’t know and populations of almost unreal kindness by these days elsewhere .. . This country is an incredible album of diversity and breathtaking scenery, authentic, preserved for a some experts. With all these treasures we discovered! You concocted a beautiful route. Splendid country and endearing by its people. My friend (s) and close to whom I showed my photos are surprise or entranced by the Dallol, Simien and Geladas the highlights of our trip. It must be said that we lived unforgettable moments. We must also say that our small group was great, our great guide, our minibus, great …. An extraordinary unique journey, we discovered the Awash National Park with all the animals in total freedom, only our presence and looks were intruders. The crocodile oryx through the dik-dik, kudu, warthogs, I almost forgot the beautiful semmering’s gazelle and many others. Dallol, extraordinary, temperature, colors, smells, cuts, sublime there is nothing to say, our eyes saturate unforgettable landscapes. The salt mining dating back to the beginning of our era can not imagine you have to see, live, how human life could resist a hostile climate we ask the philosophical : question and God in all this? Beauty is impossible to translate. 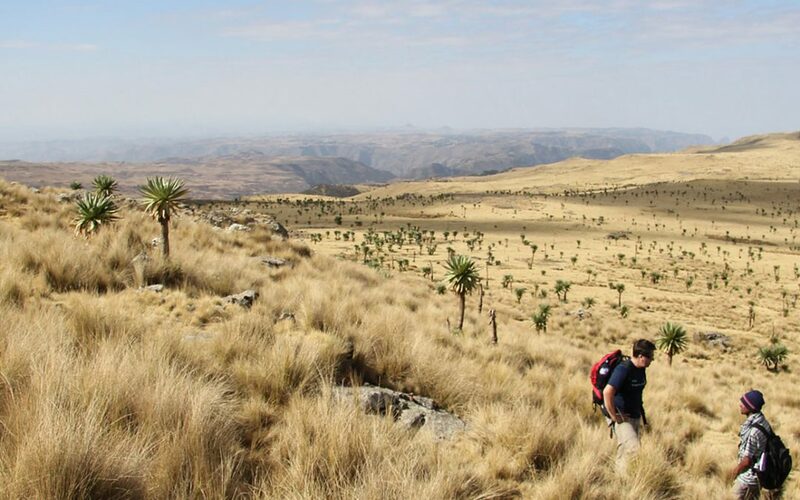 Simien park, beautiful walks during which we discovered and smelled flora and meeting with the colonies of geladas baboons (not wild) barely 15cm of us, the Ethiopian wolf, ibex, the varied landscapes to image of extraordinary country. We chimneys by Mekele Tigre’s capital, the stelae of Axum, the Yeha temple and Debre Damo monastery. In conclusion only time we missed. Extraordinary country with its diversity, its culture, its customs. Thank you Lydia, Mohammed, our guide Taricou for this wonderful stay, thank you! Lydia, for the excellent program, comprehensive and diversified, although it was sometimes a bit too busy. Ayegefa for his outstanding guide, impeccable French speaking, its diversified knowledge, availability, moments of laughter and songs, … and all the others I had the opportunity to meet. Also thank you for the many gifts. Beautiful journey of discovery both culturally as the beauty and variety of landscapes. We had the impression to visit several countries in one. The circuit, developed by the participants, was respected and the organization complies with our wishes. Very friendly welcome from AISHA TOURS ETHIOPIA Montrouge. We made a very interesting trip, very well organized by AISHA TOURS ETHIOPIA. No surprises in a country yet so complex, but so exciting. Our guide and our driver were very caring with us. Thank you for this beautiful journey! I was in Ethiopia in January 2013, with a group of friends at the time of the Christian holidays. It was the second time I was traveling in the country (the first time I had visited the Valley of the Omo …). I will never forget my walks to Axum, Lalibela, Gondar, Addis Ababa, Gondar, etc.. It was a success thanks to the perfect organization set up by the team of Aisha Tours whose kindness is matched only by the professionalism and availability. I stay there with them to see the Simien. 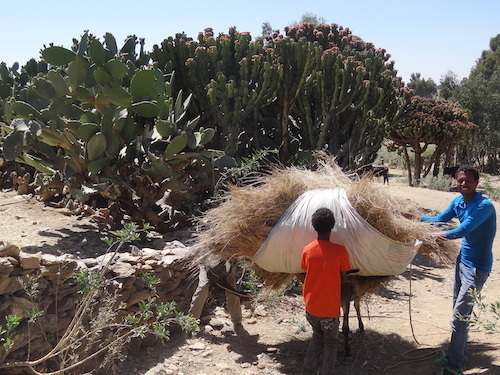 Cutting the northern part of Ethiopia in perfect harmony with our expectations (landscapes cvilisation ethnic cultures etc etc …) listening to our team with exellent knowledge of the habits and customs of the region. We started in September 2013 with Aisha Tours Ethiopia for a customized itinerary of 20 days has enchanted us from beginning to end. We were amazed by the beautiful landscape of Ethiopia and the richness of Ethiopian culture, there is always something new to discover in each region. So that was a really good balance between being reassured by organized by specialists while preserving the sense of discovery and unexpected course during the stay. I recommend them without hesitation.